We recognise that in order for a contract to run smoothly in the long term, our staff must be trained not only in high standards of cleaning, but to have good communications skills so they can involve everyone in the programme. 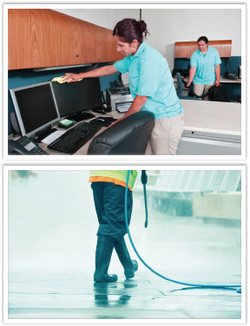 We provide quality management and supervision systems, trained staff, and effective cleaning services solutions. We supply whole site, single unit, window cleaning, and a range of other useful services.